First put in use in the 1800s, the punt guns were never manufactured on a large scale, with each being custom made by a gunsmith to fit a buyer’s specifications. But in general, the barrels had openings upwards of 2 inches (5 cm) in diameter and weighed over 100-pounds (45 kg). They generally could fire more than a pound of shot at a time and usually measured over 10 feet (3 m) long. 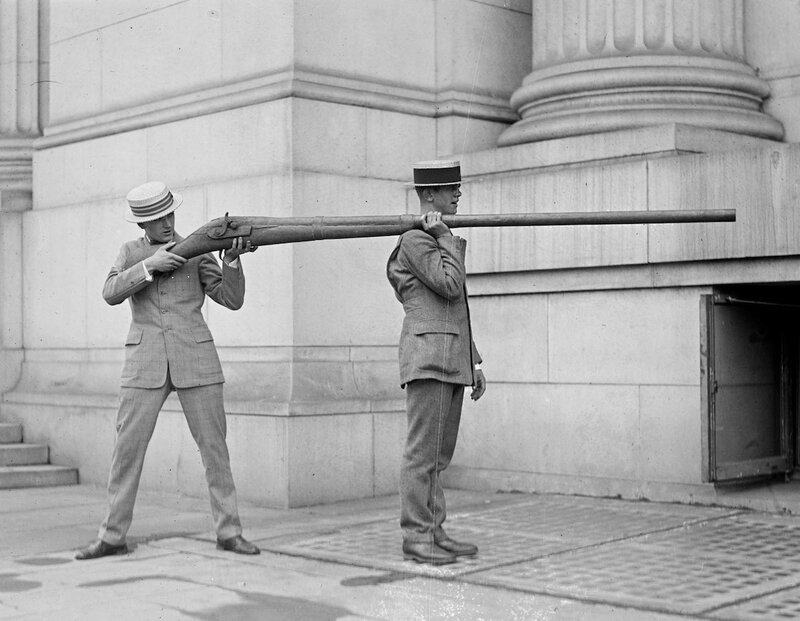 As you might imagine from this, they were too heavy and the recoil too strong for a hunter to fire them by hand. 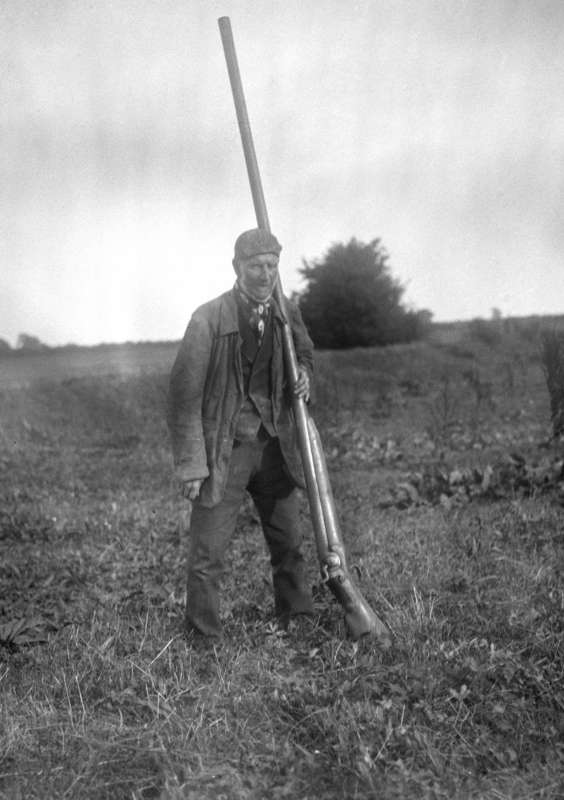 Instead, they were (usually) mounted to small, often flat bottomed, boats known as “punts.” Hunters aimed the gun by maneuvering the boat into position one or two dozen meters from their targets, and then fired. 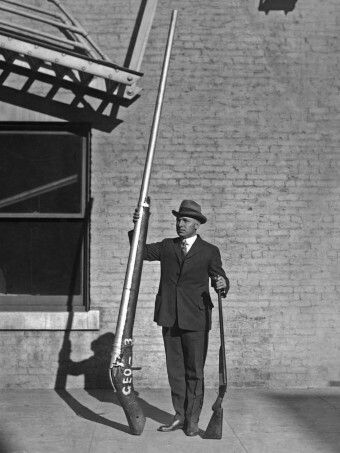 Market hunters used punt guns from the nineteenth through the early twentieth century. The hunters often worked in groups of eight to ten and fired their combined punt guns at the same time to maximize the number of waterfowl they could hit.